Whoopie pies are dessert sandwiches made with soft, cake-like cookies and a sweet, creamy filling. They are classic American desserts and, like cupcakes, they always seem to capture some fun along with their flavor. The most basic whoopie pie is made with a chocolate cake and a vanilla cream filling, but, as whoopie pies have become more and more popular, bakers have started to put more interesting flavor combinations into them. The Whoopie Pie Book: 60 Irresistible Recipes for Cake Sandwiches Classic and New offers readers a wide variety of cakes and flavored fillings to choose from, all packaged in an easy to reference cookbook. 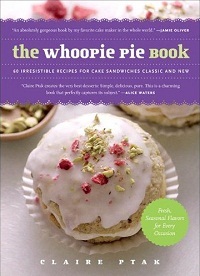 The book is broken up into chapters by type, after an introductory section that covers ingredients and whoopie pie-making techniques. The first chapter, “Simple and Sweet,” focuses on basic whoopie pies with familiar, classic flavors and basic presentations. The “Iced and Glazed” chapter dresses up whoopie pies, adding more layers of flavor to each one. “Topped and Drizzled” elevates whoopie pies from handheld lunchbox treats to true desserts, with fresh fruit, plating sauces and more elaborate garnishes. “Frozen and Chilled” is dedicated to frozen whoopie pies and ice cream sandwiches, all of which are perfect for summer and are just as appealing as the more classic pies. The last chapter throws in a couple of recipes that are not whoopie pies for a little variety, but they are still just as appealing, such as s’mores and peanut butter sandwich cookies. You can easily mix and match the cake and filling recipes for different flavor combinations, but the pairings that the book comes up with sound too goo not to try at least once. The recipes are easy to follow along with and very well written. 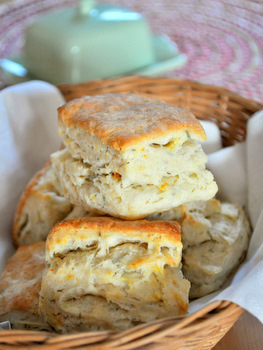 There are just enough photos to keep you inspired and tempt you into trying recipe after recipe. The best thing about the book is the variety of recipes that it offers: it’s not just one slight variation on a whoopie pie after another. For instance, many of the recipes seem a little more “gourmet” than those you’ll find in other books that tackle these treats. They’re not necessarily more difficult to make, but some of the pies use flavors – rosewater, chestnut, espresso – that you probably aren’t going to find in any other book. More experienced bakers will definitely appreciate these inclusions because they’re inspiring and it’s fun to work with flavors and ingredients you might not otherwise use. This also keeps the recipes from seeming boring and will keep all bakers coming back to the book again and again the next time they’re planning to do some baking. 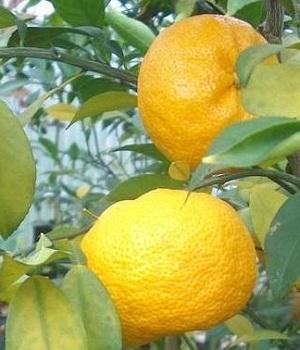 Next PostNext What is Yuzu?